FusionCharts helps you create animated and interactive Flash charts for web and desktop applications. It livens up your applications by converting monotonous data into exciting visuals. FusionCharts offers over 45 types of 2D/3D charts including line, area, bar, column, pie, doughnut (donut), combination, scatter, bubble, scroll charts etc. FusionCharts Free is a completely free and open-source Flash charting component. It aims to fulfill your basic charting needs with a very commonly used set of charts, having the necessary but basic features. The product is completely free with no gimmicks and no hidden pitfalls. Its features however are a lot limited than FusionCharts v3. FusionCharts v3, on the other hand, provides you advanced charting options like exporting chart as image/PDF, gradients, 3D lighting, better animation with an easy way for building your own animation styles, exporting chart data as CSV/XML, in-built debugger, enhanced AJAX support and advanced filter effects like shadow, blur and bevel which you can apply to the various chart elements. It also provides advanced chart types like true 3D charts, scroll charts, glass-effect column charts, dual Y-axis charts to name a few. FusionCharts is very kind to giveaway 3 x Professional Licenses ($499 each) of FusionCharts v3 to our readers. Simply leave a comment and tell us what you love most about FusionCharts and one improvement that should be made to it. We will randomly select 3 lucky people and announce the winners on 28th March. What are you waiting for? 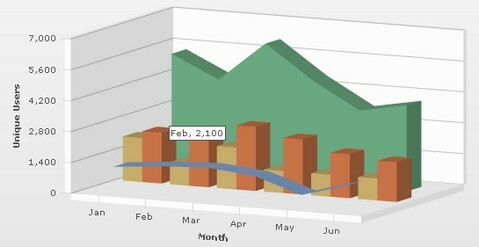 24-03-2010 UPDATE: FusionCharts are pretty overwhelmed with the insights they have got from your valuable comments. Now, they would love to give out 5 Professional Licenses instead of the 3 we had earlier announced! Thank you for all of the participants of Giveaway 3 x Subscriptions of Traffic Light Feedback. We are happy to announce the following 3 winners. Congratulations. Traffic Light Feedback will contact you guys shortly with the instruction of getting your free subscriptions. For the ones who did not win in the contest. Traffic Light Feedback is very kind to offer us 50% off the subscription for the lifetime of your account. Simply input the Coupon Code: G39WEBAPPE via this link in order to claim your discount. WebAppers will continue giving away some really nice web development tools and resources to our readers. Please feel free to suggest what you would like for the next Giveaway under this post. Thank you. 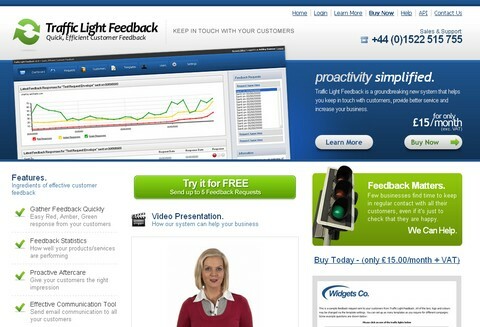 Traffic Light Feedback is a web application that helps gathering customer feedback quickly and efficiently. It sends out a positive message about your company – showing how proactive you are and that you care about meeting your customers’ needs. You get back immediate information about your customers’ current requirements – so you can prioritise and respond promptly, seizing opportunities to win additional business and acting to address any concerns, helping to cement the customer relationship. What’s more, Traffic Light Feedback retains the details of all customer feedback over time, so you have the complete history of all your customers’ feedback at your fingertips. With £15.00/month, you can send an unlimited number of feedback requests and feedback templates. TLF is very kind to giveaway 3 x 12 Month subscriptions of Traffic Light Feedback to our readers. All of them cost total £540 usd (£180 each). Simply leave a comment and tell us what you think about TLF under this post. We will randomly select 3 lucky people and announce the winners on 13th March. What are you waiting for? Thank you for all of the participants of Giving Away 5 Copies of SlideDeck Pro Licenses. We are happy to announce the following 5 winners. Congratulations. SlideDeck will contact you guys shortly with the instruction of getting your free SlideDeck Pro License. SlideDeck aims to make it easier for users to digest and understand the content of a website. It was designed to replace the web’s current model of text heavy services pages, unclear product tours and confusing process diagrams with a fun, quick and beautiful way to interact with websites. When viewing a SlideDeck, you can index the content at first glance by reviewing the vertical sliders. You can take a holistic approach with the SlideDeck by progressing through each slide in order to understand the complete concept. Or you you can jump ahead to the topic you are interested in. Each slide can contain simple HTML text and images as well as rich content such as flash, videos, screen casts and presentations. A SlideDeck can be custom designed to blend in perfectly on your website as a header or navigation system. It can also be contained within a button, waiting to be clicked and opened in a lightbox view. Think of all the content you can express to your user in a simple, elegant and fun interface. SlideDeck adheres to web standards and is great for SEO as it is entirely indexable via search engines. SlideDeck Lite is a limited version of the feature-rich SlideDeck Pro. It’s a great way to give SlideDeck a try and immediately improve the performance of your website. SlideDeck Pro ($299 usd each) includes all the features listed below as well as free upgrades for new functionality. Now, you can have a chance grabbing a SlideDeck Pro for Free. Simply leave a comment under this post. We will randomly select 5 lucky people and announce the winners on 27th Jan. What are you waiting for? Thank you for all of the participants of Over $2,000 Christmas Giveaway: Pingdom Accounts. We are happy to announce the following 5 winners. Congratulations. We will contact you guys shortly with the instruction of getting your free Pingdom Account. Merry Christmas! It is time to give some Christmas presents to our readers. Pingdom is very kind to giveaway 20 one-year Pingdom Basic accounts for free to us. Each account allows you to monitor 5 sites/servers, with 20 SMS alerts and Unlimited email & twitter alerts. All of them cost total $2,388 usd ($119.4 each). Just in case you do not know what Pingdom does for you. If you are a business with an online presence, it is important that your website and other online services are available 24/7, all year round. However, all websites have occasional problems, whether the reason is external or internal, and there is a significant risk that you are unaware of these problems. 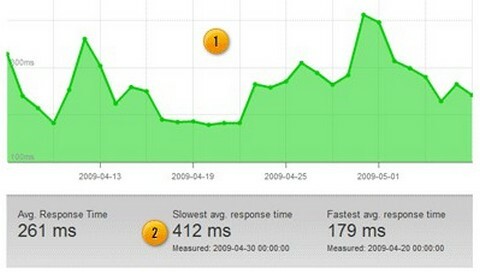 With Pingdom, any problem with your website will be discovered the minute it happens. You will be immediately alerted so you can take action before it affects your business. You will also be able to see detailed statistics of your website performance, giving you a historical record of all incidents. The competition will be closed in 4 days, and we will draw 20 winners randomly and announce it on 24rd December 2009. Thank you for all of the participants in advance. Thank you for all of the participants of Giveaway 5 Copies of 3D Stack Flash Component. We are happy to announce the following 5 winners. Congratulations. Flashloaded will contact you guys shortly. The 3D Stack Flash component displays images in a 3D stack formation. Images can be defined through XML, in the Component Inspector, ActionScript, or from a Flickr feed. The stack’s direction can be linear or curved with customizable angles, blur and spacing. Over 70 parameters to customize the look and feel. There is a built-in Flickr support by simply entering the URL of the Flickr RSS feed. There are option to customize animation, borders, blur, spacing, positioning, rollover zoom, reflections and drop shadows. The 3D Stack Flash component can also be scrolled by clicking and dragging the mouse up and down on the stage. Mousewheel scrolling can be optionally enabled. The optional scrollbar is skinnable. The preloader, font and text are fully customizable. Flashloaded is very kind to giveaway 5 copies of 3D Stack ($59.95/each) for Free to our readers. Simply tweet about this post or leave a comment about how you would use this 3D Stack on your website, you can have a chance taking this 3D Stack Flash component away for FREE. We will draw the winners and announce it on 1st August 2009. Thank you for all of the participants in advance. Thank you for all of the participants of “Giving Away 10 Sets of 275 Premium App Icons” contest. It is really amazed that we have over 500 comments (including “random comment”, “simply leaving a comment”, “yet another random comment” and “latest random comment”). We have successful drawn the following 10 winners. Function will send you the Premium Icon Pack very soon.